The challenges were everything from devising a contraption which would allow a raw egg to remain unharmed from a 10ft drop, to building a suspension bridge out of little sticks. As some of you may know, the egg drop is a coursework here at school in upper secondary anyway, the difference here having been that our contestants were allowed to build a parachute-like device to slow down the drop. Obviously, the competition was pretty tough but our students managed to pull out an absolutely solid 2nd place! And the reward for their work? Each team member won a RM 6000 scholarship to any of the Inti College programs and even better, these stipends can be used in conjunction with whatever other scholarship they may be granted. On top of that, their ingenious work also netted the school a RM 2000 contribution! All around a fantastic success, and a testament to the hard work of our kids. Although, as the kids will tell you, it wasn't that hard for them at all. 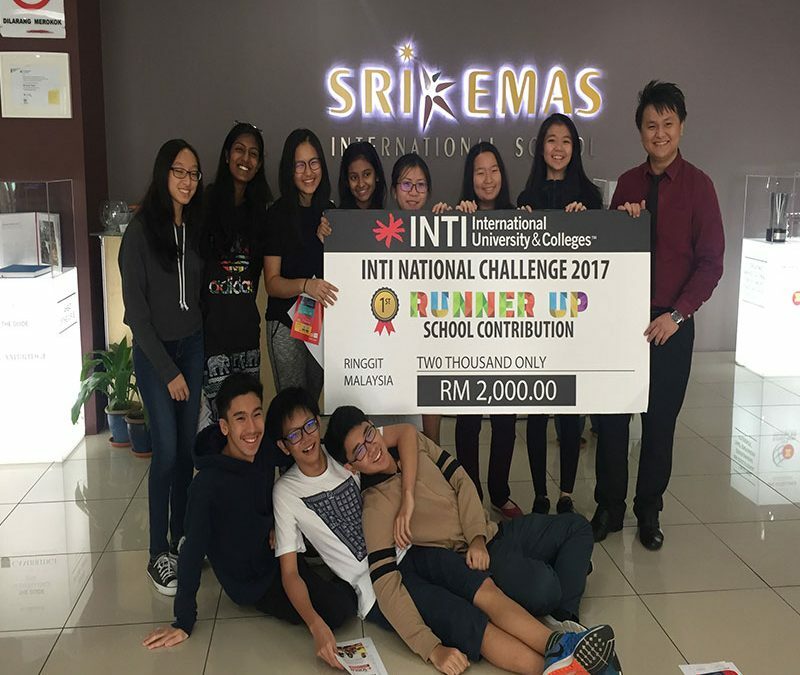 Their teacher Donovan and the rest of our science teachers prepped them well for out-of-the-box kind of tasks they were asked to complete at the competition: It's part and parcel of what we do here at Sri Emas all throughout the year.